JERUSALEM, March 18 (Xinhua) -- A 1,500-year-old winepress, decorated with a luxurious mosaic floor, was discovered in northeastern Israel, as reported Monday by the state's Nature and Parks Authority (INPA). 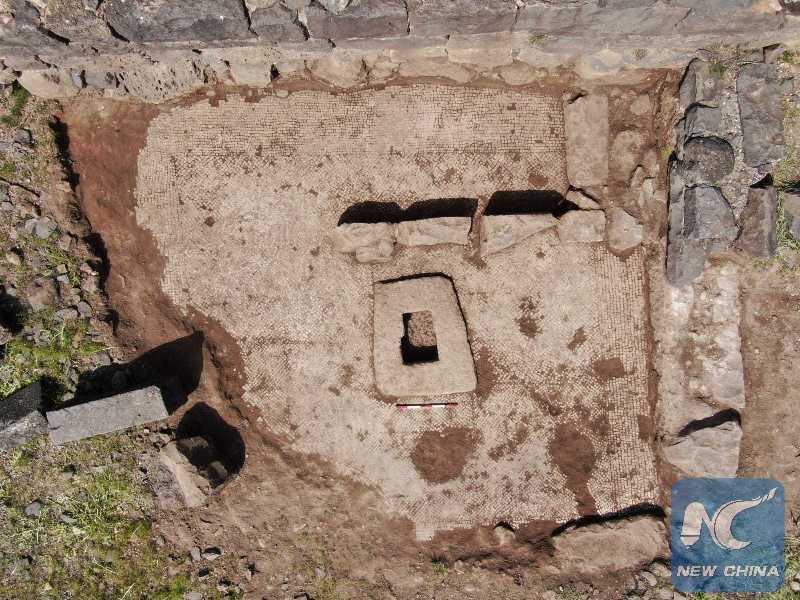 The 16-square-meter winepress was discovered in the Chorazin National Park, north of the Sea of Galilee, during archaeological excavations conducted by the INPA and Ariel University, with the support of the Israeli Ministry of Finance. According to archaeologists, the Jews who lived in the ancient village of Chorazin manufactured and drank wine, along with having special olive and wheat industries. The village also had agricultural industries, a ritual bath and a magnificent synagogue. The archaeologists added that unlike most of the winepresses in agricultural plots, this winepress was inside village. The ancient farmers decorated the winepress' floor in a mosaic with patterns of rhombuses and squares. Besides the mosaic on which the grapes were stepped on, the winepress was also combined with a stone that served as a screw base for a second squeeze to extract most of the must. Then, the must was stored in jars, where it was fermented into wine.